I recently bought toric lenses from Oh My Lens, I have severe astigmatism but avoided buying toric lenses because of the cost and the time it takes. I chose Oh My Lens because the cost was slightly less and there is large selection of toric lenses. I'm pretty picky and prefer lenses with 2 colors or more because they look more natural. I have dark brown eyes and I love how they look on my eyes, they enlarge slightly and the color definitely shows up on my eyes but looks natural. They're really comfortable and since I can actually see everything; I end up wearing these lens all the time. I would definitely recommend Oh My Lens for the speed of shipping and selection of toric lenses. 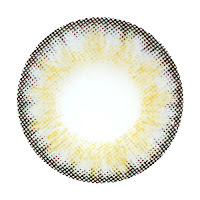 I also recommend the Ahene 3 Color Gray Toric Lens. Especially, after reading Pinky Paradise reviews, it looks like their toric lenses can take around 2 months to ship. My review for Hypnotic Sweet Treats is NEGATIVE. I'm not sure if it was because I didn't use her Etsy or Storenvy and that she was relocating from what I read on her Facebook. Maybe it was all bad timing. It seems that people do receive items from her. But it was a waste of time and although I wouldn't have lost much money in this transaction I was disappointed in not receiving the items at all. I attended Angelic Pretty USA's 3rd Anniversary Tea Party in San Francisco last weekend. I got to see the designers Maki and Asuka and the President of Angelic Pretty Honda-san again! There was an in-store event at Angelic Pretty SF the day before. I wasn't able to snag any lucky packs but I enjoyed myself anyway! Took a pic with Asuka-san! Now on to the Tea Party! Winners of the Scavenger Hunt! Raffle Winners! Sorry, I forgot to take pics of all the winners. It was a lot longer than the tea party at Anime Revolution and so many lolitas! I recognized a few from Tumblr and daily_lolita. I knew SF lolitas step up their game in crafting and coords so I got to see many beautiful people! Hope to go again next year~! Around two months ago I won the Lockshop Flower Circus contest as Grand Prize Winner and I finally received my package! Here are all the items! And here's the mystery gift! I am so grateful for Lockshop and their generosity! I hope to apply again to their next outfit contests. I had the opportunity to model for Angelic Pretty at Anime Revolution in Canada and also attend the Angelic Pretty tea party! I got to meet a lot of Vancouver lolitas who were all so lovely and nice! Here's a pic with Maki and Asuka, the designers of Angelic Pretty! So cute and sweet in person. All the models were so friendly and fun. A lot of the girls were mutual friends and knew each other. I had a good time talking with everyone and wasn't very nervous because we were all having a good time. I haven't found many pics of my model walk sadly enough but here you go! Now for the Angelic Pretty Tea Party! Raffle box and bags for the prizes! Me accepting the prize. I got a candle, ring, and bracelet! Tamie won first place for best dressed! She embroidered her dress, so hime~! Here's the Vancouver lolitas giving a gift to Maki and Asuka, so sweet! I had such a fun time! It was my first time attending a brand tea party. I hope to see the Vancouver lolitas again, I really enjoyed their community!